This project came from a referral for work we did on the PRSA Spokane website. 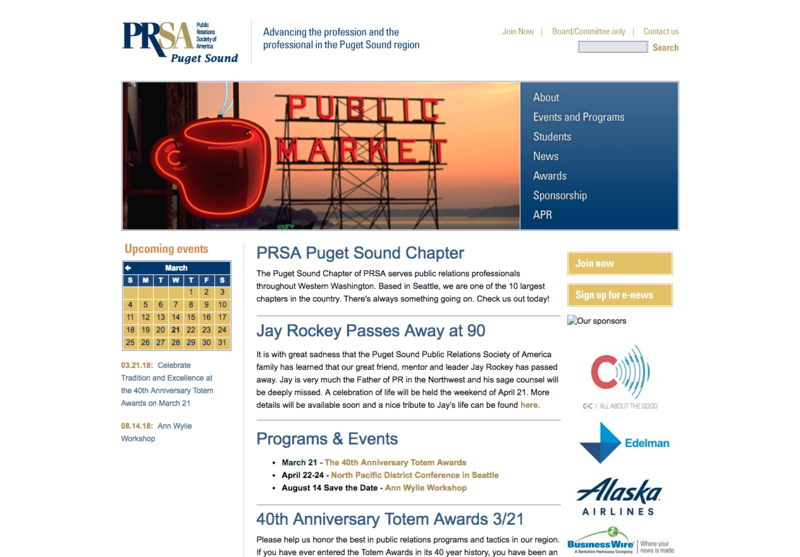 This is a group of professional PR folks, from the greater Puget Sound Area (Seattle) who wanted to update their site with a much more modern, mobile-friendly design. 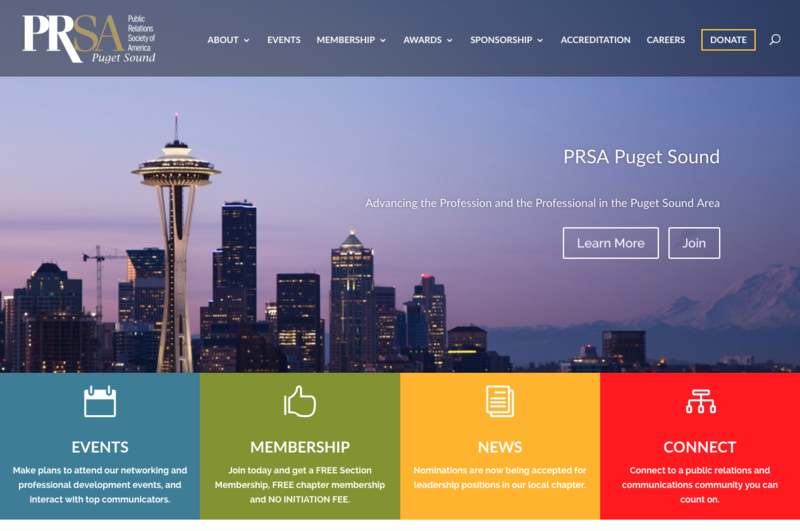 The project was a complete rebuild, since we were switching from the content management system that they had been using (which had become inoperational) to WordPress. It is a big site, with over 50 pages of content, and the new design does a much, much better job at reflecting who they are (if we do say so ourselves).